Our agency is skilled in web site design and development, and especially in a turnkey web site solution. Digital syndrom is skilled in Word press technology and had many reference in this domain. Save Money – No longer do you need to send the most basic text changes to your designer or even have your designer add new pages for you. Make the edits yourself whenever you want and save the money you would’ve paid your designer for more important things by adding new pages on your own. Times are tight and managing your own content for your Web site is a great way to contribute to saving costs. Greater Accessibility – Make changes or add content from any computer in the world with Internet access and a browser without the need for additional software or fixing firewall settings. Speed of Communication – Since you don’t have to wait a few days for your designer to make those basic changes, the content on your Web site and be altered immediately by you, thereby giving your Web site visitors the most timely and current details possible. Social Networking Friendly – Automatically integrate your blog posts with social media like Twitter, facebook, Linkedin instead of having to go to each one, login, and make a post that you’ve just added something new to your website. Engage with Current Media – Easily add audio and video to posts and pages. Creative Welcoming – Integrate any design within an hour or two in comparison to other CMS (Content Management System) tools that all look alike because of their stringent design constraints. Ultimate in SEO Friendliness – The construction of WordPress blog code is consistent and streamlined without excessive HTML code that Google finds very inviting for indexing. Plus, with the right setup, you’re able to customize every page or post you make to give you the highest possible probability of getting your pages in high search results positions. Search Engine Magnetism – As a result of your inspiration to post content more often, your frequency of contribution will attract Google robots and other search engines like magnets. The robots will search your entire site every day looking for new content and new pages and changes they can index. New pages get indexed in hours or even MINUTES when you commit to adding new content over time. Many of our HereNextYear posts and WebsiteWaves.com pages have been published and displayed on Google’s organic search in under 30 minutes! Try that with a traditional Web site! Insanely Fast Learning Curve – Learning to edit content, post new pages, add photos and images is as easy (maybe even easier) than using MS Word. Figuring out these simple procedures on your own would only take a novice a few hours. With initial one-on-one training by phone from an expert WordPress trainer like we offer at HereNextYear, all of these functions can be performed by YOU in under an hour…even if you have no design or programming experience. There are two and three FULL-day classes just to learn the BASICS of Dreamweaver or FrontPage. I know…I used to teach them! WordPress blog software is by far, the easiest tool to learn how to maintain content on your Web site. Improved Security – One of the subjects “against” WordPress or other web site software that use plugins (plugins are small add-on programs to enhance the capability of the blog software) is that hackers can break in to your Web site. But, the exact opposite is in fact true: If you have the right people involved in the setup of your WordPress installation, your blog site can be hacker-proofed even more securely than a traditional Web site. How can that be true? Because there is an actual process to “hardening” a WordPress installation. But, you just don’t hear designers or developers hacker-proofing traditional Web sites. See the difference? Increase Your Perceived Industry Authority – Making frequent posts and sharing your opinion on what’s happening in your industry offers so much more potential for establishing rapport with your audience than a traditional Web site could offer. Why such a difference? Because traditional Web sites just take too darn long to format. Even if you open Dreamweaver and copy an existing page to create a new one, you still have to format all that content, upload it to the right directory, assign page permissions, add the page manually to navigation….UGGG! A WordPress blog will allow you to add new pages in as little as five seconds! Period! And, that page can be set to appear in navigation on every other page on on your entire Web site in the click of a button. You just can’t afford to spend that much time to make that many additions of content pages in such a short amount of time with a traditional Web site. And, when you’re “reporting” on industry happenings, and giving your opinions, speed is of the essence. That’s the difference. Immediate Identification of Hot Topics Among Your Audience – If you make 10 posts and get one or two…or even no comments at all, and then all of a sudden you post a topic that brings 20 comments, you learn immediately of an interest. This is a highly valuable opportunity that you normally don’t see with a traditional Web site, unless you pay for a bunch of custom programming to create some forms and surveys. The utility to allow blog comments is included with every Blog installation automatically with no custom programming required. Better Anchor for Original Articles – When you publish articles to directories and blog networks, you first want to post it to your blog site. Why is a blog site “better” for this than a traditional Web site? Because of the automatic archiving feature within every blog setup. Automated Syndication – Blog posts can be automatically converted to RSS feeds and syndicated to blog directories and other peoples’ websites. You Control the Discussions – With traditional Web sites, the “old school” way of communicating with visitors was to add a forum or chat room. The problem with those was the need for maintaining the posts from spammers and removing discussions and predatory accounts that could threaten the integrity of your business. Blog sites changed all of that. You begin the topic of discussion. Your visitors make comments to the discussion you started. But, the comments people make are approved by you before anyone ever sees them on your Web site. It’s the best of all worlds without the worry of defaming your business with unacceptable posts. Re-Ignite Your Ideas – By having the ability to add content to your Web site in a way that is easy, fast, and requires no technical skill, you will be amazed how ideas for “what to add” will no longer be a problem. In fact, you’ll be more worried about what to write about….first! Create content about industry happenings, product reviews, or educational steps. The limits are truly endless. You’ll never run out of things to add to your blog. Increased Functionality with Lower Cost – Thousands of pre-written programs called plugins can increase the functionality of your out-of-the-box blog software. Traditional websites require everything to be programmed. Even if you find an available PHP or ASP script to work with a traditional website, there is usually significant integration work and customizing required, whereas WordPress plugins are usually a 3-click install process. Multi-User Capable – WordPress offers multi-user capability so that larger companies with marketing departments, for example, can offer editing power exclusivity or even read-only mode to others. Free Upgrades – Unlike traditional Web site software like Dreamweaver, PhotoShop or Flash, upgrades to WordPress blog software is free. Universal Platform – With the economy the way it is, designers and Internet marketing service providers are closing their doors and disappearing even more quickly than when I got started in this business in 1996. You’ve got to be careful these days. With traditional Web sites, very rarely will a new service provider agree to pick up where the old designer or developer left off. The result is that the new provider will want to charge you for starting from scratch. Conversely, almost anyone with basic PHP and MySQL experience can jump into your WordPress blog site project in a moments notice if something was to happen to the helper(s) that got your blog site setup for you in the first place. 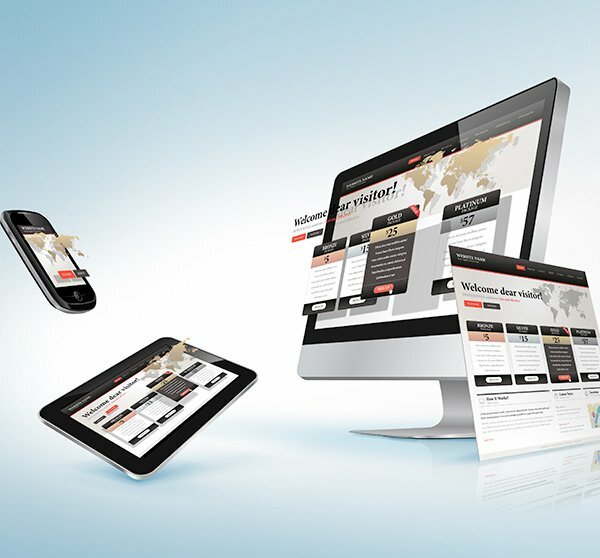 Mobile Readiness – No need to produce a second Web site just for mobile users. WordPress automatically recognizes if a person is viewing the site through a Web browser or mobile device and configures the content to be viewed appropriately on either. Ease of Printing – Designers are notorious for creating Web sites that are too wide to print. With a simple plugin, all your WordPress blog site content can be easily printed in easy-to-read format…without creating duplicate “printable” versions of pages. No need for sacrificing screen view design just so that people can print the pages. Digital syndrom is a member of the largest marketplace in order to have the most innovative templates combining technology and creativity: Responsive, Woocommerce Plugins, WPML, Yoast SEO. Once your website is ready, Ds Overseas will cover will begin SEO mission, through a variety of approaches: content enhancement , tags, and the most powerful plugins ensuring the SEO (Yoast Premium version). We assure our customers of 100% satisfaction or refund. If in case you already have a website, our agency can assist you in updating and all others request. Digital Syndrom est spécialisé dans la création de site web Ecommerce sous WP et Woocommerce.